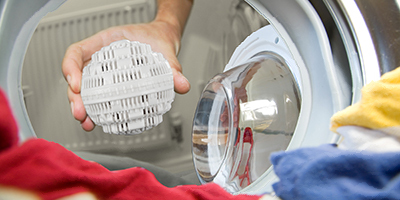 Power Clean Ball ™ technology lowers water tension, going deeper into the fabrics and resulting in better washing with less soap and softener. Power Clean Ball ™ captures the chlorine of tap water, keeping your colours vibrant and preserving the fabric’s elasticity. 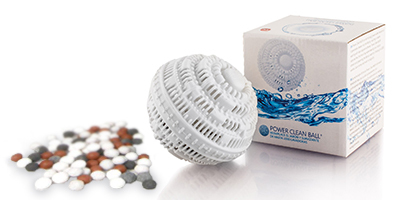 Power Clean Ball ™ is composed just by natural ceramics contained in a non-toxic plastic sphere. It lasts up to 1.000 washes, reduces the allergic risks related to detergents, eliminates micro-organisms, allows for wellness and helps both the environment and your economy. 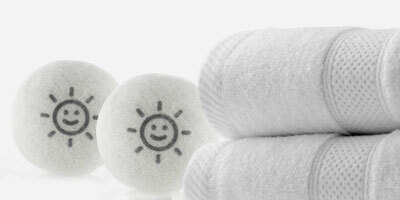 Use Power Dry Ball™ drying balls for a softening effect on your clothes without the need for chemicals. 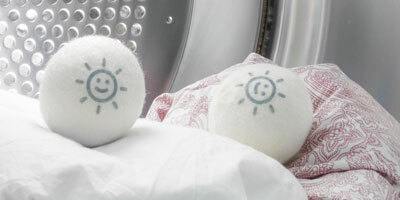 Made with New Zealand wool, reduces creases and allows faster drying.